Our presented series of Ladies Sunflower Handbag is enormously demanded in the market for their long-lasting nature and superior finish. Featuring a grey colored hand beaded clutch bag. This is embellished with gold flower motifs and tiny sequence all over the bag, suspended with a sling chain.. It comes with a dust bag. 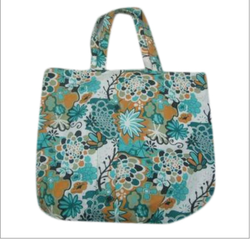 Matching up with the requirements of our clients, we are involved in an offering Ladies Flower Handbag. 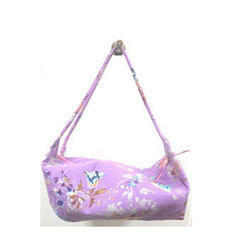 We are engaged in offering a large range of superb quality handbag to our client. This is highly demanded due to its design, pattern, durability. This bag is avaliable in different shades like bergandi.